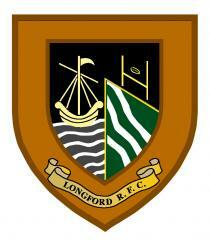 Longford Early & Late XVs travel to Black Gates, Tullow this Sunday as Leinster League action returns. It is a battle of third versus fourth in the table and with first and second; Suttonians and Monkstown, facing off on the same day it offers Longford/Tullow a chance to make up ground on the leading two. Tullow is always a tough place to visit but Longford have a lot of experience down there and know that it is a cup final in regards to challenging for second place in the league and a potential promotion playoff with only three matches remaining. Longford earned a 35-23 bonus point win versus Tullow in CPL Park in November and will have to be at their best to come away from County Carlow with a win. Playing against Tullow the old adage of the ‘Forwards win matches and Backs by how much’ is usually true playing Tullow, especially at home, so the Longford pack will need to front up in the early exchanges and try to lay down a marker. The Early XV will be looking for a good performance versus the same opposition as they build up to their first round of the Provincial Towns Seconds Cup clash away to Athy on Sunday week. As always, all travelling support would be appreciated. The Early XV kick off and 1 PM and the Late XV at 3 PM. Longford Women looking to keep momentum going in Laois. Longford Women (aka The Warriors) travel with a pep in their step to Portloaise this Sunday at 1 PM after beating table toppers and previously unbeaten Naas in CPL Park last Sunday. They take on third placed Portlaoise and with this being the only match in their Division it is a chance to make up ground on the top four teams and stay in with a shout of making the end of season play offs. Longford beat Portlaoise at home 12-5 in December and will be looking for a similar result in Laois.